Wedding cake delivered to Low Wood Bay Hotel for the wedding of Kerry and Paul. 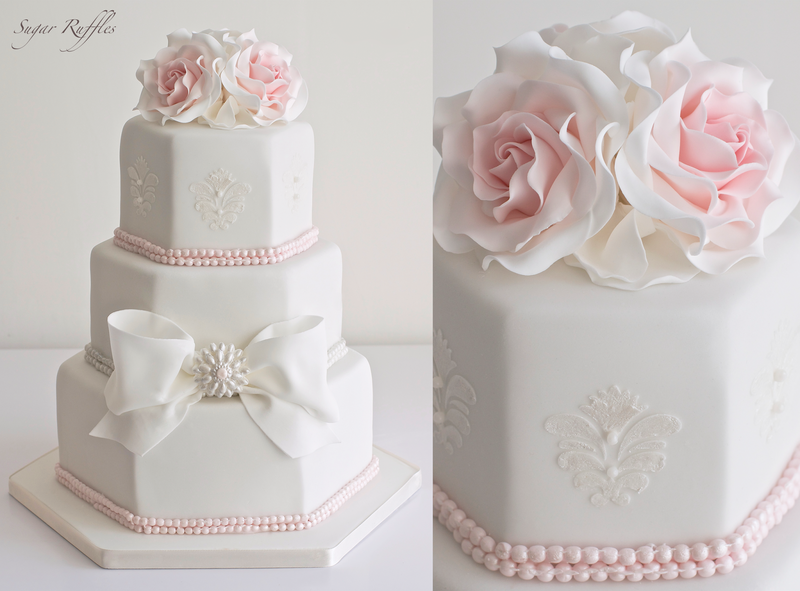 A 3-tier hexagonal cake with sugar pearls, sugar bow & brooch and damask embellishment. Topped with graduated pink sugar roses. Top tier -summer berries, middle tier- chocolate orange truffle, Bottom tier- vanilla bean. Congratulations to you both!